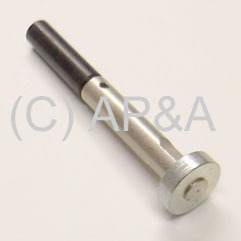 Ball auto-launch and/or up-kicker plunger / armature assembly. Metal with black plastic end. Measures 4-1/2 inches overall length. Used on Williams Getaway for ball launch.